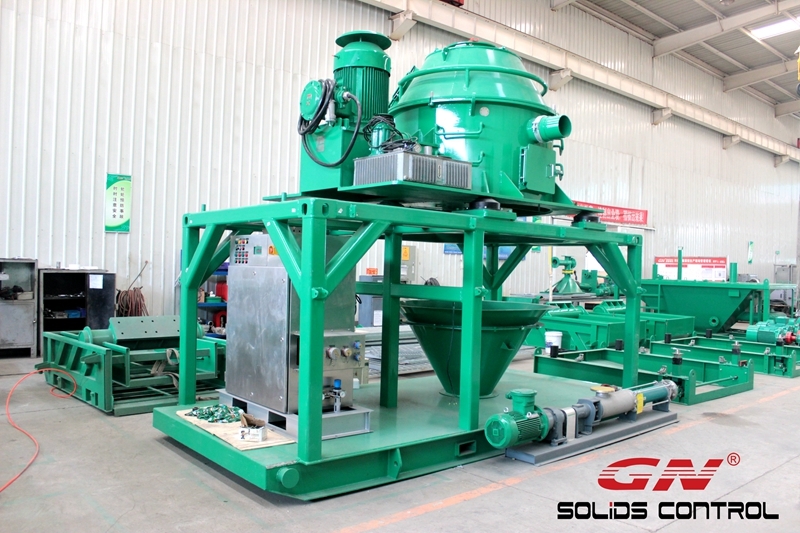 GN Solids Control has been putting its efforts to produce the highest quality products ever since its establishment 8 years ago. Now GN Solids Control become the best brand in this industry in China and GN Decanter Centrifuge, GN shale shakers, GN Vertical cuttings dryers are enjoying good name among clients. It is 14 inch bowl decanter centrifuge and such is the most widely used size for oil and gas drilling industry. High speed up to 3900RPM to be suitable for 2-5 micron size particles, which makes the centrifuge to be useful for drilling waste management and dewatering unit. GNLW363’s length diameter ratio is the ideal 3, which helps to dry the particles to a good result. Best bearings to support the high speed. GNLW363CG-VFD uses genuine SKF bearings for a longer service life and better performance. Most suitable material as SS2205 stainless steel by centrifugal casting for bowl main body. Positive pressurized VFD control panel with PLC smart touching screen. That’s why it is adopted by clients from Europe and USA. This set of GNLW363CG-VFD for Europe, is for higher configuration than standard model of GNLW363CG-VFD, the explosive proof standard of this set is ATEX, while it has DNV lifting certificate per client’s customized request. For standard model of GNLW363CG-VFD, the explosive proof standard is EXdIIBT4, other components and parts are exactly same as above mentioned model. 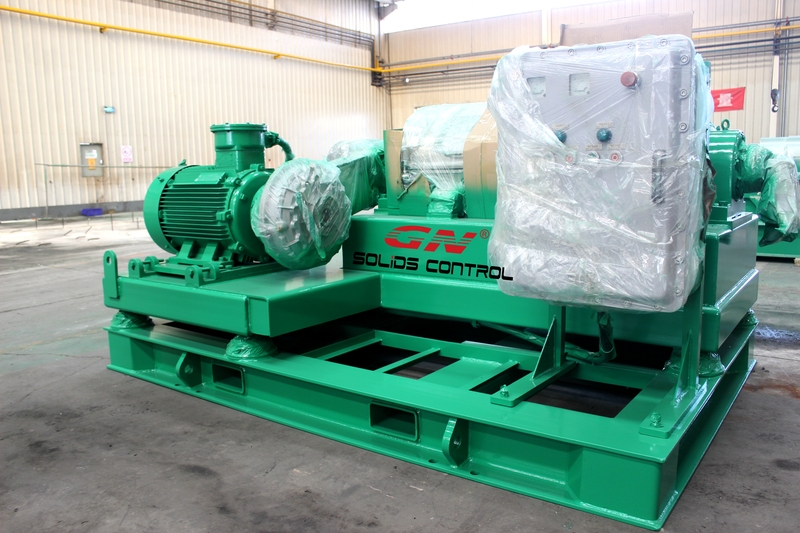 For the same size decanter centrifuge, GN Solids Control could also provide constant speed control panel with extra 1 or 2 pulley and belt for option in order to give more available speeds. 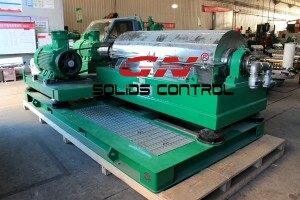 And also, GN has economic configuration decanter centrifuge of same size and speed, with bearings as genuine NSK or FAG, and some other differences in materials, which is more suitable for the solids control applications. Drilling waste vertical cuttings dryer is widely used to treat oil-based mud and oil based mud cuttings. It can further healing period useful drilling fluids through the drilling waste cuttings, and decrease the oil content for the cuttings. Oil upon cuttings (OOC) is a standard parameter to identify the effectiveness of a Vg dryer. Prior to enter into vertical cuttings dryer, the oil on cuttings (OOC) is normally around 15% ~ 25%. After remedying of VG dryer, the OOC should be reduced to 3% ~ 5%. It is the diploma accepted by most of the areas. The cuttings with 3% ~ 5% OOC dismissed from VG dryer might be buried directly. In some areas with higher standard, typically the cuttings can be moved to be able to thermal desorption unit (TDU) for further treatment to reduce OOC to 0. 5%. Often the recovered mud from VG dryer can be reused regarding drilling. But as the mud is very heavy, Normally, broadband drilling waste decanter centrifuge will be used after VG dryer to reduce the mud excess weight. After VG dryer in addition to high speed decanter centrifuge treatment, typically the mud should be qualified to get drilling. 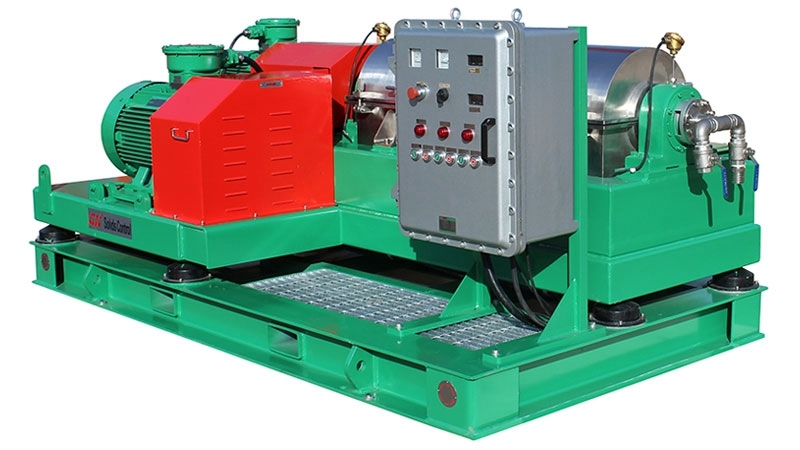 As there is no surroundings hazardous materials generated from drilling rig site all things considered these treatment, so VG dryer and high speed decanter centrifuge are popular and made welcome by rig site seeing that Zero discharge system. Many consumers may wonder: If the arctic distortion unit (TDU) helps to reduce oil on cuttings to be able to as low as 0. 5%, the reason why don’t the rig internet site use TDU to treat oil-based mud and cuttings immediately. The answer is that, TDU is often a high energy consumption equipment. Along with the capacity is very small , the regular capacity of 1 set TDU is 1 ton on a daily basis, and max. 2 lots per hour. And it is cost greater. But VG dryer can easily treat around 30 plenty per hours. Equip VG dryer before TDU could increase treating capacity on the total drilling waste management system. Among all the actual decanter centrifuges used for solids control and drilling waste management systems for oil and gas drilling, they could be divided into big dish centrifuges, medium sized decanter centrifuges and baby centrifuges. For each bowl rotating speeds, they may be divided as middle pace decanter centrifuges and high-speed decanter centrifuges. Per their own electric control system they may be fixed speed and adjustable speed available. Like GNLW363C series decanter centrifuges, GN has 4 models whilst 5 options available, they are maximum configuration ones, for waste materials management use mostly, as well as economic standard ones. As well as for each configuration, end users might choose fixed speed or even VFD control panel. For your economic standard option, GN has positive pressurized VFD control panel with PLC and normal VFD control panel for option. Exactly what feeding pumps are used correspondingly or the decanter centrifuges for each their control panels’ variations? 1 . For fixed pace control panel decanter centrifuges, you could use both the submersible slurry pump and the screw pump or called mono pump. In case of fixed speed decanter centrifuge, normally no need to affect the speed and feeding capability which is already set having a formula of centrifuge feeding pace and gearbox ratio as well as motor rotating speed, as well as etc . In order to change the serving capacity when using the submersible slurry pump, extra liquid given to the centrifuge could circulation back via the flood pipeline of the centrifuge. In the event of the screw pump, the finish user could install a mechanised devise on the screw pump as a manual valve. This kind of is shaped as a steering wheel and could be switched remaining or right in order to get an appropriate feeding capacity. 2 . For your VFD controlled decanter centrifuges, the common and practical option would be always the mono pump or screw pump. The actual screw pump’s motor is actually connected with the control panel and on the other side from the motor is the gearbox linked to the pump rotating component. By changing the HERTZ via control panel, the actual directly connected screw pump would change the feeding pace and accordingly the serving capacity. About other solids control equipment such as mud agitator, Mud Gas Separator, Vacuum Degasser, cuttings dryer, Mud cleaner ,shale shaker ,Welcome to contract our sales team. CIPPE 2016 is just just about to happen, you may still remember recently, on CIPPE 2015, GN brought many new developed products that covers almost all areas where GN’s products can be applied. Though in 12 months of 2015, the olive oil business faced the unrivaled recession in worldwide, GN Solids Control still held the steps to improve the products top quality and never gave up the investment decision on innovation. 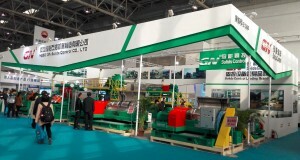 In the approaching CIPPE 2016, it is considered that GN’s booth will probably shine again with the fresh developments. • GN Booth No . : HALL E2 -E2200, booth area 272m2. 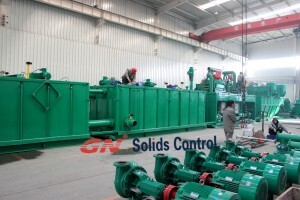 In the event of 2015, GN Solids Control brought 1 unit drilling waste cuttings management system which is the most popular sellers in GN’s products line in the year connected with 2015. One skid wilt removable telescopic frame sets up all the equipment into a small unit. This unit can be transported by a trailer without having removing the equipment on it. Along with fully consideration on the handling diagram, this system is definitely including vertical cuttings dryer unit, VFD decanter centrifuge and relative transferring pump. 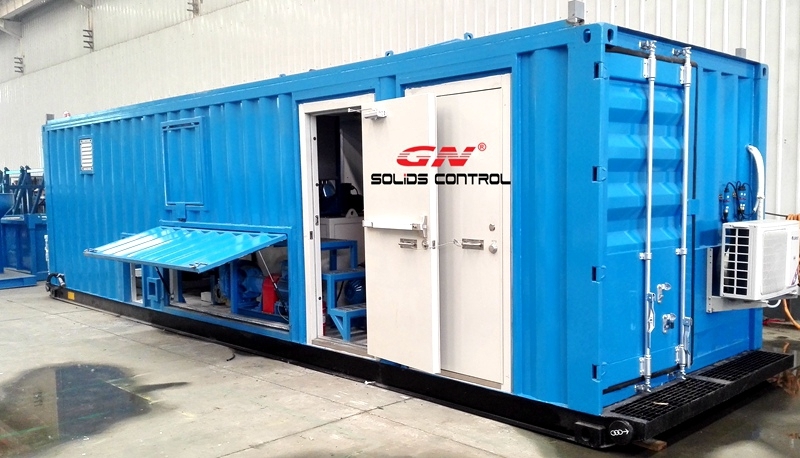 GN also have modular design and style equipment could be ordered individually and then assembled on web-site according to specific onsite area condition. Modular design waste materials cuttings equipment could be a lot more freely layout onsite. 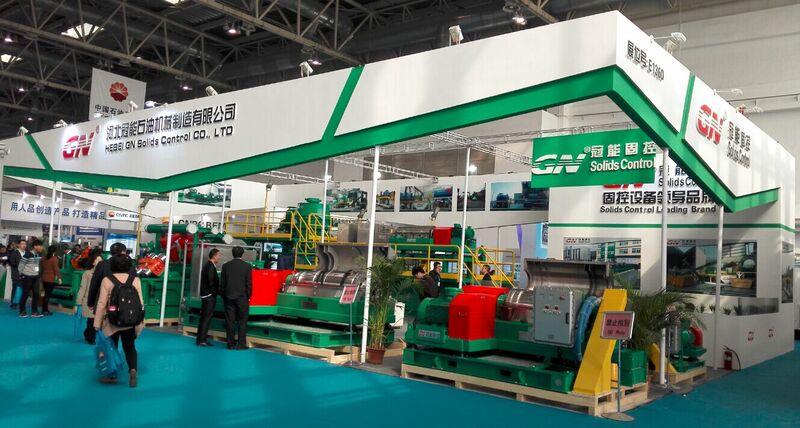 In addition to the waste cuttings management system, the traditional drilling fluids solids control equipments were also exposed to GN’s booth. High Gary the gadget guy force drying shaker, mud cleaner unit, 22 ” big bowl decanter centrifuge and even the piling undertaking used de-sanding unit were being shown there, which makes visitors sigh with emotion since GN could provide the total line solids control in addition to waste disposal equipment for different industries like oil going, no dig drilling and perhaps construction projects. 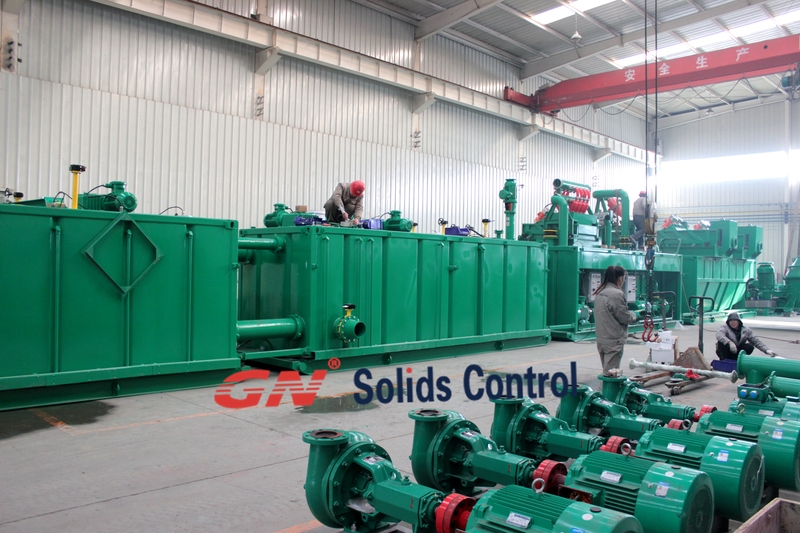 2016 is usually fully a fresh new year to get GN Solids Control, while GN was just accorded as New High-tech Party. With this honor, GN wish to show herself at the CIPPE 2016 with a new image. Brand new development on products will certainly be shown there to seize clients’ eyes. Expecting experiencing you again at CIPPE 2016.